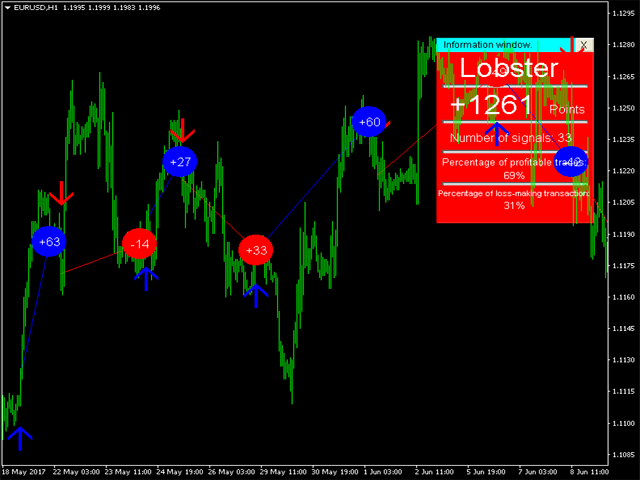 Lobster is a ready-made trading system with a flexible market analysis algorithm. It performs most of the work for a trader. All you have to do is open and close orders following the indicator signals. The indicator will be very useful for both beginners and professionals. 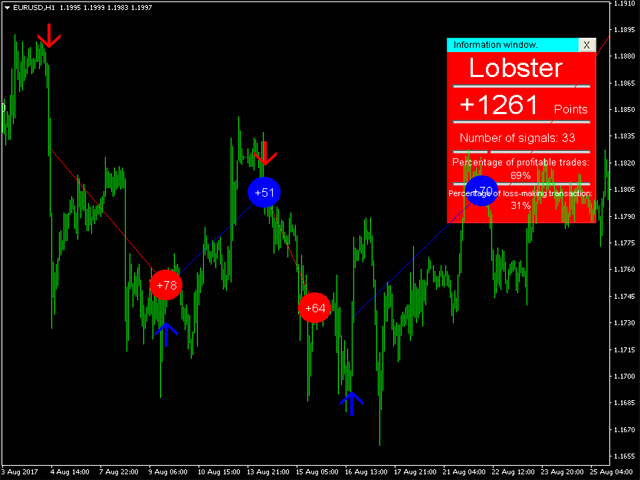 It is able to work with other indicators and independently. When the red circle appears, close a sell order. color2 - info window color.